Our Dave becomes Dr Cooke! 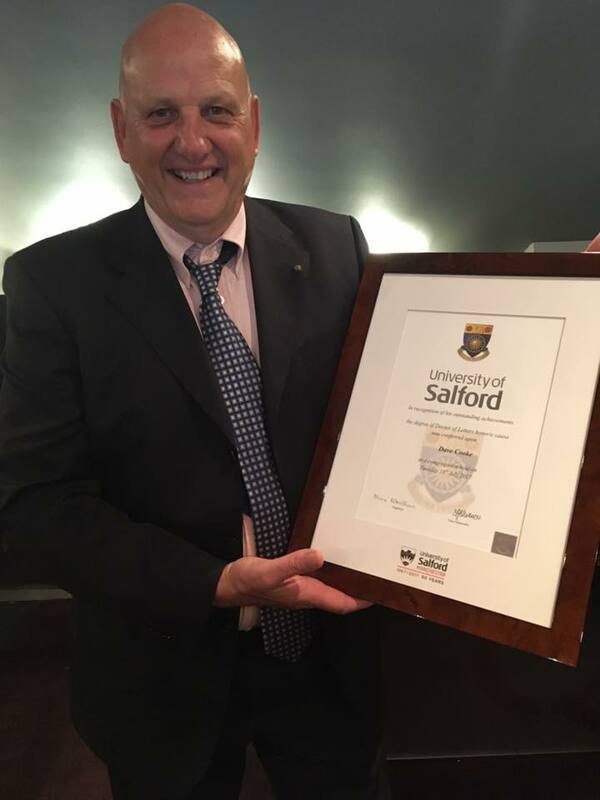 On Tuesday (18th July 2017) our founder was recognised for his invaluable contributions to international charity work by being presented with an honorary doctorate from Salford University. Mrs Kay Hack, Dean of Health Sciences, said Dave was selected for this prestigious award because he represented the qualities of vision, passion, resilience and social conscience that the University want to see all their students model. Teams4U have had a long relationship with Salford University, taking teams of students to Uganda for over eight years. These teams provide students with incredible opportunities to experience hospitals and medical facilities in third-world environments whilst volunteering on wider T4U projects.